See the brand-new 2019 Subaru Forester at your Subaru dealer in Montreal and discover the advantages it offers over the competition, including the 2019 Toyota RAV4! Now in its 5th generation, the 2019 Forester is, like the other models of the Subaru family, a model in terms of safety and embedded technology and has nothing to envy to its rivals. Learn more about it by visiting Subaru Montreal, your ultimate dealer near downtown, Laval and the North Shore! Built on the brand-new Subaru Global Platform (SGP) the 2019 Forester has slightly larger dimensions than the outgoing model, giving occupants more space inside especially in the 2nd row thanks to a longer wheelbase. 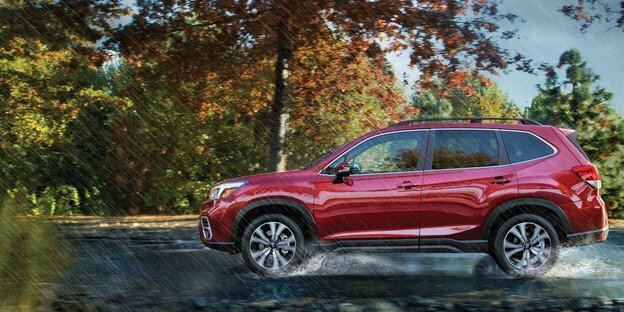 Its design, even more robust and athletic than that of the 2018 model, reflects the capabilities of the Forester and allows it to be noticed on the road. It also sports a higher ground clearance than the 2019 RAV4 (220 mm versus 155 mm for the Toyota SUV). Under the hood there is a powerful 2.5-litre BOXER engine with 182 horsepower, an improvement of 12 horsepower compared to the previous model and equipped with a stop-start function of the engine, a feature absent from the RAV4. A CVT gearbox will be paired with the Subaru engine, and it will be possible, optionally, to add a 7-speed manual mode. 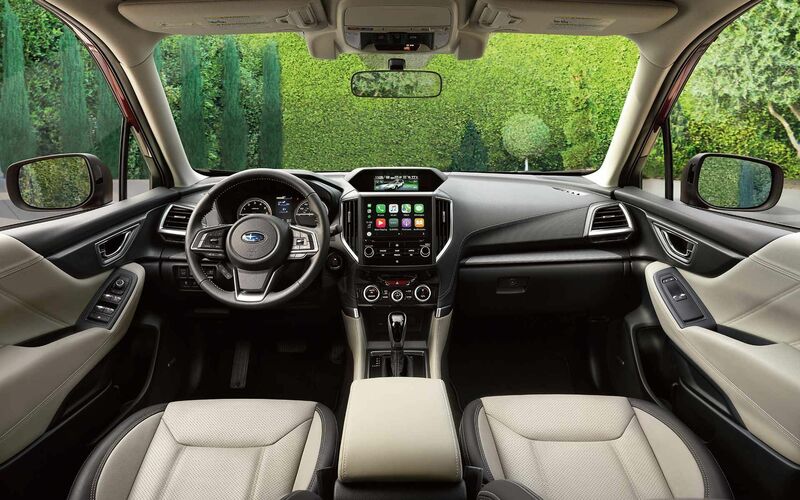 Amenities and technology will not be missing onboard the Forester! For instance, the brand-new DriveFocus system will detect, for example, whether the driver is falling asleep or lacking attention, giving the Forester an added advantage over the RAV4. Add to that the powerful EyeSight system that includes adaptive cruise control, traffic alert, unintentional line crossing alert and more. Buyers will also benefit from Apple CarPlay and Google Android Auto compatibility, an electric tailgate and a host of other amenities. To find out more about the brand-new 2019 Subaru Forester, visit Subaru Montreal now! On site, find out about our Subaru financing products and current Subaru promotions. You can even book a test drive of one of our vehicles in stock. Come and see us! We are located near the West Island, Laval and the North Shore.